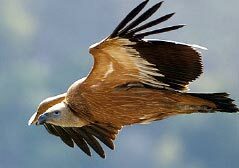 Nepal is a paradise for birds lovers and ornithologists with over 848 species (8% of the world total) of birds. And among them almost 500 species are found in the Kathmandu valley alone. 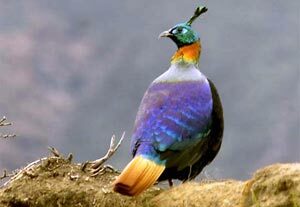 The most popular bird watching spots in Kathmandu are Phulchoki, Godavari, Nagarjun, Bagmati River, Taudaha and so on. Get your binocular and look forward to a rewarding experience. The best time for bird watching is March and December. Royal Chitwan National Park is one of the favorites for bird watching in Nepal, which offers 450 species of birds. Among the endangered birds are the Bengal florican, Giant horn bill, Lesser florican, black stork and white stork. Common birds seem in the park include the peafowl, red jungle fowl, and different species of egrets, herons, kingfishers, fly catchers, and wood peckers. Moreover, more than 45 species of amphibians and reptiles are visible in the park. A fully inclusive and varied tour (apart from lunch and dinner in hotels Kathmandu and Pokhara) allowing the an ideal opportunity to view birds in a variety of ecological locations and at various altitudes. From The Terrai plain in the South of the country at almost sea level to our Study Centre in the Annapurna Himal situated at an altitude of 6,400 feet. Commencing within the exotic Kathmandu valley we travel to the wet lands of the Terrai plains and on to the dense Jungle terrain of Royal Chitwan National Park.We continue to the wonderful lakeside setting Pokhara with arguably the most impressive mountain backdrop anywhere in the World and birds to match. A days hike follows, for an exclusive three day stay at our Study Centre in the Annapurna Region. A total birding experience in the time available which in terms of species is very hard to match anywhere in the World. Day 12 Bird watching around the lake Phewa and surrounds.